Heat oven to 400°F. Microwave frozen broccoli as directed on bag. Cut open bag; set aside. 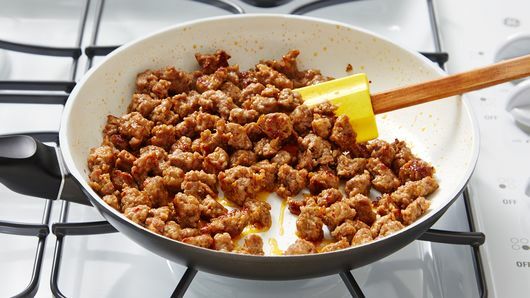 Meanwhile, in 10-inch skillet, cook sausage over medium-high heat 5 to 8 minutes, stirring occasionally, until no longer pink; drain. Brush 2 tablespoons of the olive oil over bottom and sides of 15x10x1-inch pan. 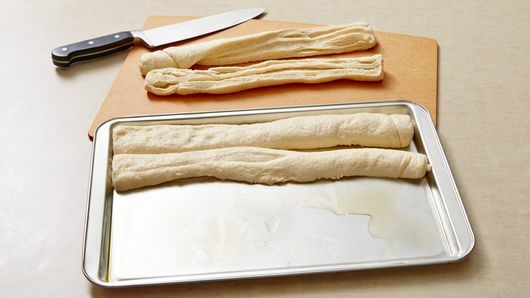 Remove dough from cans; cut each dough piece in half lengthwise down center to make a total of 4 pieces. Place dough pieces lengthwise in pan; press in bottom of pan to form crust; set aside. 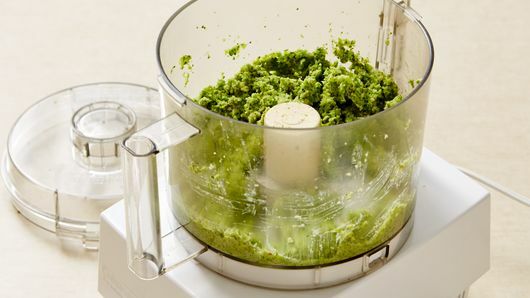 In food processor, place broccoli and pine nuts. Cover; process until well blended to make pesto. Spread pesto over dough. 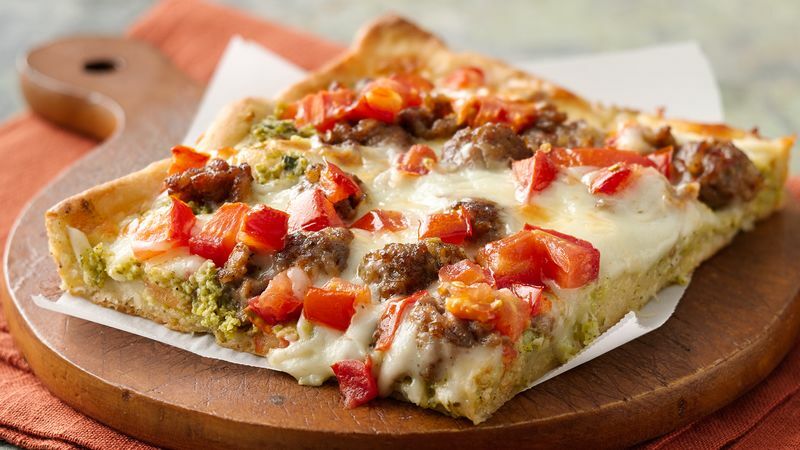 Top with sausage, cheese and tomato. Sprinkle with 1/4 teaspoon salt and 1/4 teaspoon pepper; drizzle with remaining 1 tablespoon olive oil. Bake 25 to 29 minutes or until crust is golden brown and cheese begins to brown.